Gabriel admitted the offence after the end of the match on Tuesday and accepted the sanction proposed by Jeff Crowe of the Emirates ICC Elite Panel of Match Referees and, as such, there was no need for a formal hearing. 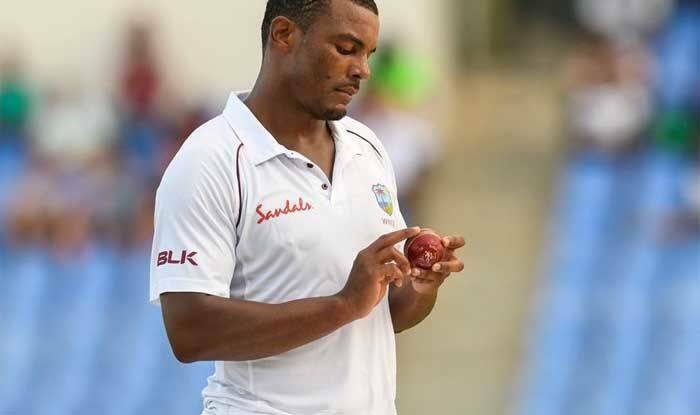 The International Cricket Council (ICC) suspended West Indies fast bowler Shannon Gabriel for four ODIs in the wake of his “inappropriate” comments directed at England captain Joe Root. Gabriel’s remarks were in breach of the ICC Code of Conduct, for which he was also docked 75 percent of his match fees. Gabriel, who received three demerit points, had accumulated a total of eight demerit points during a specified period of 24 months, the ICC stated. “During the third day of the St Lucia Test against England on Monday, Gabriel was found guilty of breaching article 2.13 of the ICC Code of Conduct, which relates to “personal abuse of a Player, Player Support Personnel, Umpire or Match Referee during an international match,” said the ICC in a statement. Gabriel admitted the offence after the end of the match on Tuesday and accepted the sanction proposed by match referee Jeff Crowe and no formal hearing took place. On-field umpires Rod Tucker and Kumar Dharmasena and third umpire Chris Gaffaney levelled the charges. Level 2 breaches carry a penalty of between 50 -100 per cent of a player’s match fee or 1 or 2 suspension points. A guilty finding will also see either three or four demerit points added to the player’s disciplinary record. Gabriel already had five demerit points against his name for two earlier incidents – three demerit points during the Jamaica Test against Pakistan in April 2017 and two demerit points in the Chittagong Test against Bangladesh last November. With the addition of these three demerit points, he has reached the threshold of eight demerit points, which, pursuant to article 7.6 of the Code, have been converted into four suspension points. Four suspension points equate to a ban from two Tests or four ODIs/T20Is, whatever comes first for the player. Gabriel had earlier been suspended from the Mirpur Test in November 2018 when he reached the threshold of four demerit points.